Anna-Lena Werner: Katja, do you like interviews? Katja Kottmann: Yes, I like them. Anna-Lena: You just made a work of wall-text that says what you like and what you dislike. Why do you reveal these opinions out in the open? 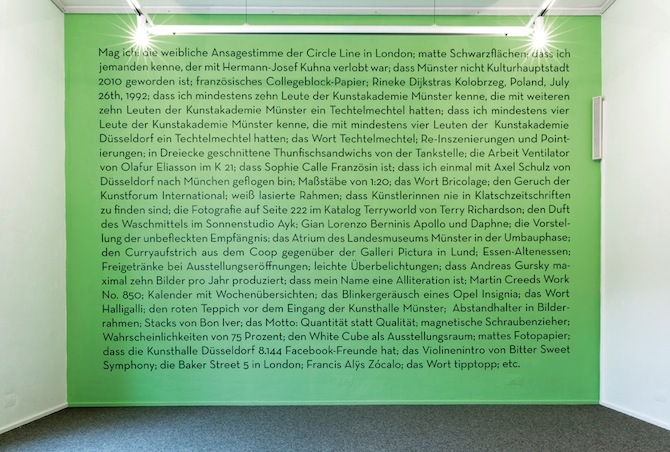 Katja: The visitors are facing this work in the very beginning of my exhibition: in two identical rooms, which are connected by a passage. The „pro“ and „contra“ opinions refer to observations, statements and discoveries. These statements are linked to exhibitions in general. But they also refer to other works shown. I was interested in statements that refer to the context they are exhibited in – art and art exhibitions – and how they play with circumstances and clichés. 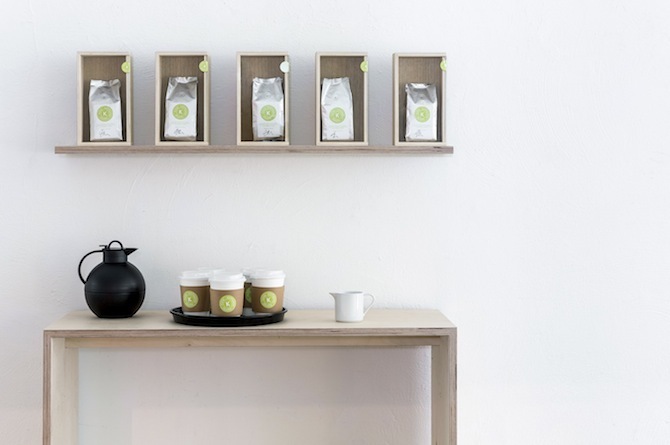 Anna-Lena: For this current exhibition, called SHIPSHAPE, at Städtische Galerie am Park in Viersen you commissioned a roasting company to produce your own coffee blend. Each visitor receives a paper cup. What was the idea behind that work? Katja: Once, Städtische Galerie im Park used to be the residence of the family Kaiser and administrative centre of "Kaiser’s Kaffee". At the entrance of the exhibition, where visitors are given a cup of "Katja Kottmann Kaffee" as a welcome drink, there used to be the arrival hall. Josef Kaiser, who was the founder of “Kaiser’s Kaffee” and entrepreneur of the supermarket chain of the same name, entered the general store of his parents in 1880 at the age of 18. This is where Kaiser´s Kaffee originates from. The fact that my name is an alliteration is also a nice coincidence. Anna-Lena: How is the aspect of distribution related to the COFFEE work? 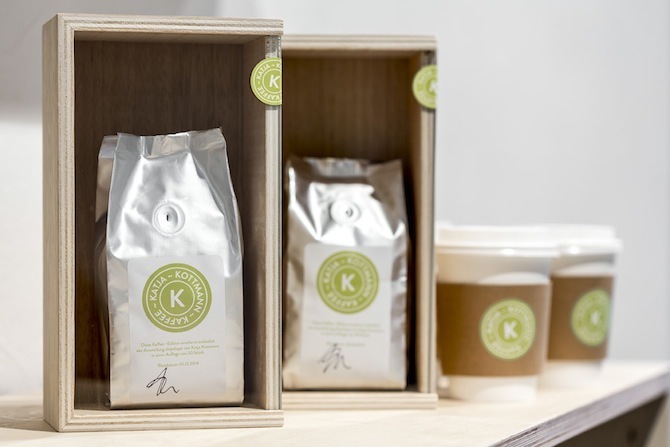 Katja: In the late 19th century, most of “Kaiser's Kaffee's” profit was made by walking through the streets with an old trolley and selling green raw coffee beans to housewives, who roasted them at home. I like the idea that visitors stroll through the rooms with a coffee-to-go in their hands, spreading the smell of coffee within the exhibition space. Very often, depending a bit on how quickly visitors empty their cup of coffee, the work reaches the streets, too. 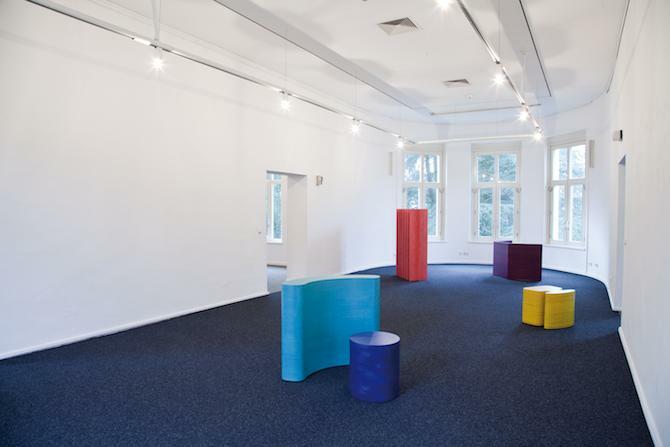 Anna-Lena: You often produce site-specific works that archive, or even honor, past and current architectural conditions. Are you trying to capture a certain moment of spatial history or condition? 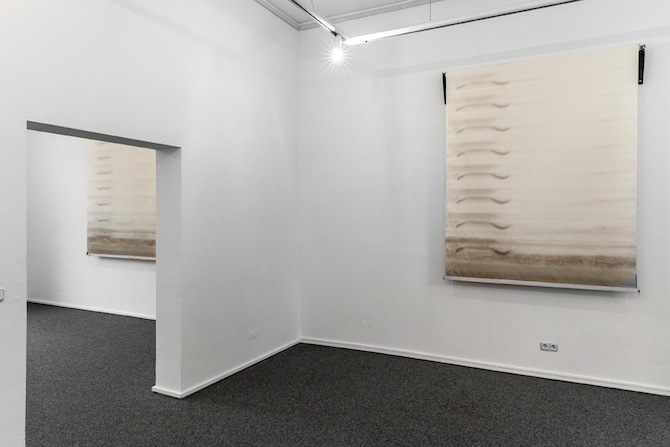 Katja: I am interested in shifting systems of meaning: For example, by using the blinds of the gallery with all these traces left by the weather. The blinds are quite ordinary and originally belong to this building, in which they also had a specific function. But by taking these blinds into the exhibition space new meanings can be created. Of course, they reflect a past or current condition, or the history of the space. But I think the fascinating thing is that they can become independent from the building and can thus gain a completely new reading. Anna-Lena: What does nostalgia mean to you? Katja: I think my approach is not very nostalgic, although I am interested in things that trace former conditions or moments. I am not yearning for them in any way. I think, I rather handle them as facts. I like to use things as they are without adding anything or doing more than necessary. 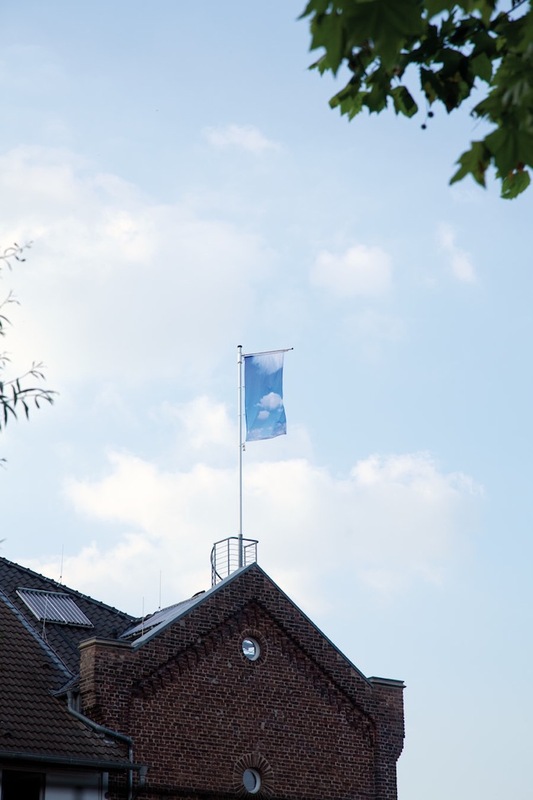 Anna-Lena: Your work SKY shows a flag on top of an old house with a blue sky and some fluffy clouds. While it also captures a certain condition, isn't there also a sense of eternalisation involved? Katja: I guess, simply using the sujet of the sky includes a sense of eternalitation. The image that is printed on the flag originally comes from an online database and can be found when searching "ideal blue sky". It obviously corresponds to what most people would think of as an ideal sky. The image, depending on weather conditions, either contrasts the sky or fuses with the sky. In other words: it reaches the ideal condition, but certainly it will not overlap with the sky in this area of Germany too often. Anna-Lena: Do you think that art has a different sustainability than spaces? 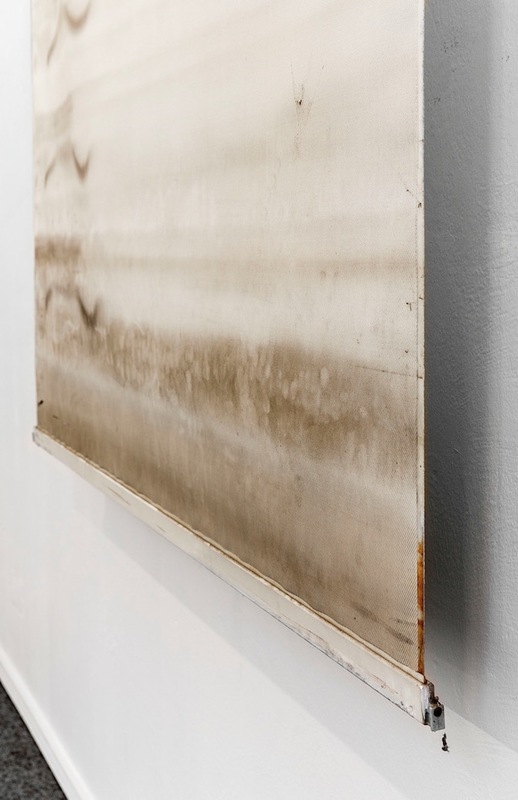 Katja: Space is sometimes the starting point of my work, which is often visible in the final piece. But "art" and "space", generally spoken, are terms that cannot be that easily defined without a bigger discourse. Still, they certainly depend on each other: spaces give way for creating art, while art on the other hand creates spaces. Anna-Lena: The sculptural series 1:1, which is also part of your show, translates five symbols from a furniture template for architectural drawings into three-dimensional objects. The 1:1 scale is slightly paradox and the objects are hard to recognise as stencils. Are you challenging the relation of perception and representation? Katja: I transferred symbols that are normally the two-dimensional representatives of the actual object into three-dimensional space. I took measurements from the template of each element and enlarged them from a 1:20 to a 1:1 scale. 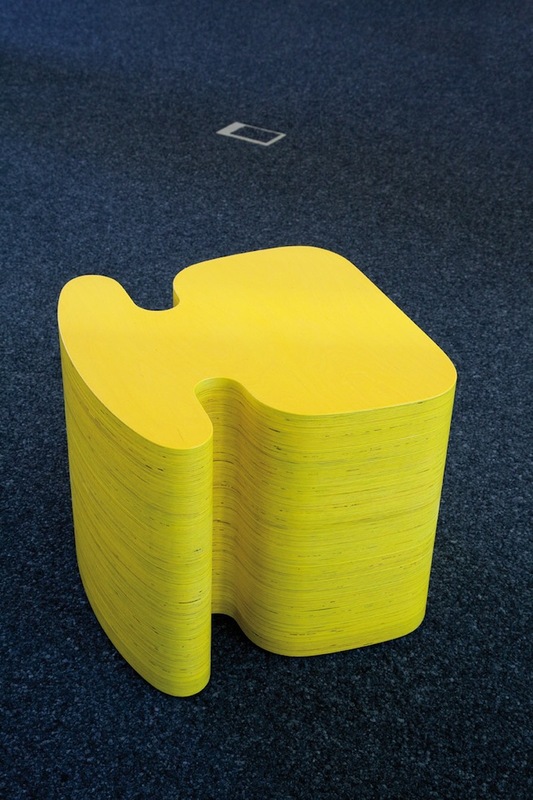 I am interested in the gap that is created between the real piece of furniture, which the two-dimensional representative stands for, and the symbol when becoming a real three-dimensional sculpture. Because of their similarity, a paradoxical relation is created that gives way for the impression that the sculptures also might have a function.